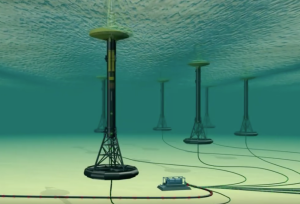 The general consensus seems to be that the wave energy industry is at about the same level of maturity as the wind and solar energy industries were about 30 years ago, in the 1980s. 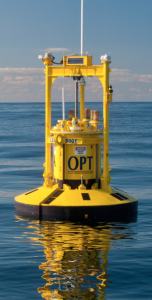 OPT (http://www.oceanpowertechnologies.com) is the developer of the PowerBuoy®, which is a moored ocean buoy that extracts energy from the heave (vertical motion) of ocean waves and converts this into electrical energy for marine applications (i.e., offshore oil, gas, scientific and military applications) or for distribution to onshore facilities and/or connection to an onshore electric power grid. 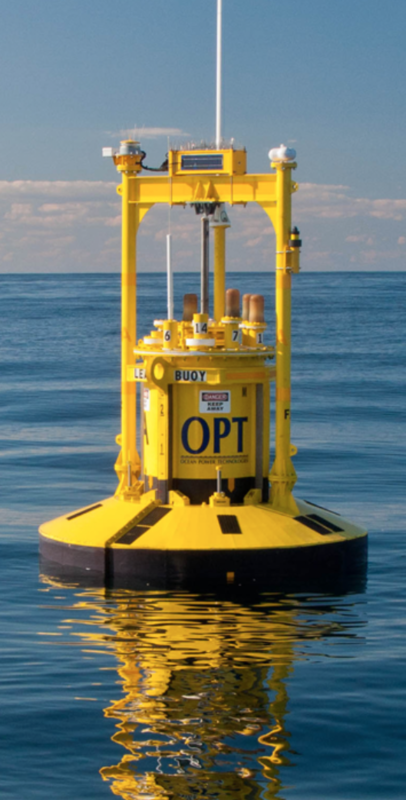 OPT currently offers PowerBuoy® in two power output ranges: up to 350 watts and up to 15 kW. The modest output from individual PowerBuoys® can be combined via an Undersea Substation Pod into a scalable wave farm to deliver significant power output to the intended user. 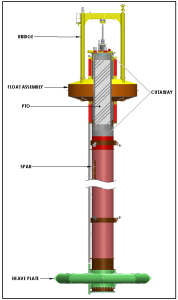 “The PowerBuoy consists of a float, spar, and heave plate as shown in the (following) schematic…… The float moves up and down the spar in response to the motion of the waves. 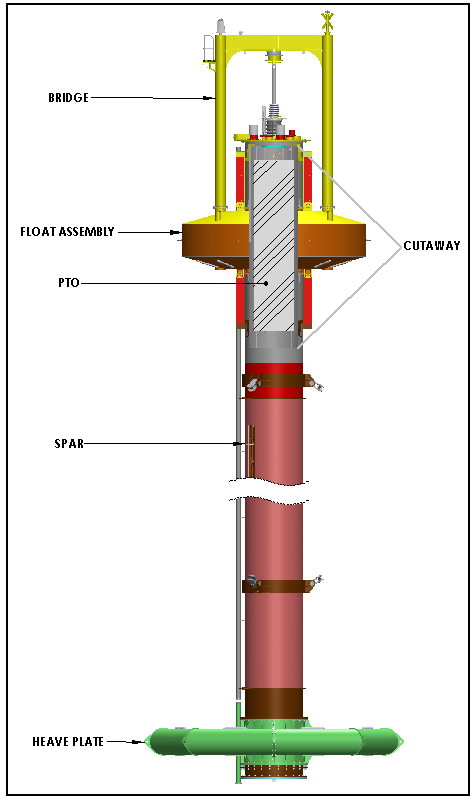 The heave plate maintains the spar in a relatively stationary position. The relative motion of the float with respect to the spar drives a mechanical system contained in the spar that converts the linear motion of the float into a rotary one. 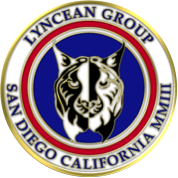 The rotary motion drives electrical generators that produce electricity for the payload or for export to nearby marine applications using a submarine electrical cable. 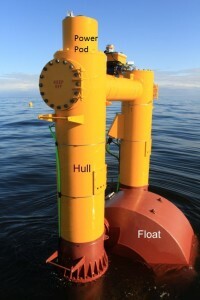 This high performance wave energy conversion system generates power even in moderate wave environments. 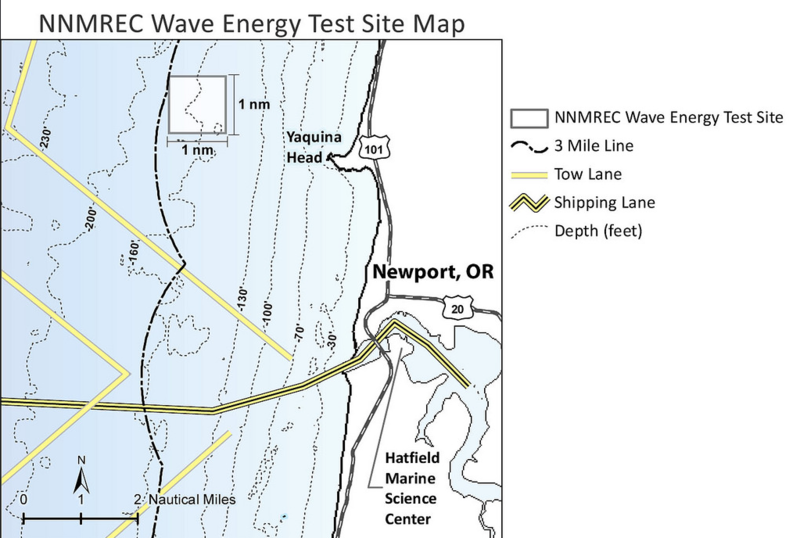 NWEI (http://azurawave.com) is the developer of the Azura™ wave energy device, which is a moored ocean buoy that extracts power from both the heave (vertical motion) and surge (horizontal motion) of waves to maximize energy extraction. Electric power is generated by the relative motion of a rotating / oscillating float and the hull of the Azura™ wave energy device. 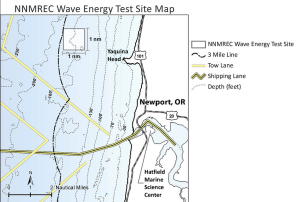 In 2012, the Azura prototype was fabricated and deployed at the Northwest National Marine Renewable Energy Center (NNMREC) ocean test site offshore from Newport, OR. On May 30, 2015, under a Department of Energy (DOE) and U.S. Navy sponsored program, NWEI deployed the improved Azura™ prototype at the Navy’s Wave Energy Test Site at the Marine Corps Base, Kaneohe Bay, Oahu, Hawaii. The Azura prototype extends 12 feet above the surface and 50 feet below the surface. 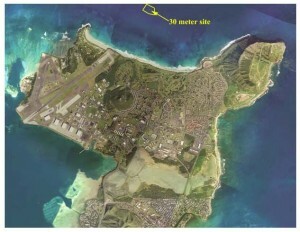 It generates up to 18 kW of electricity. In September 2016, the Azura™ prototype reached a notable milestone when it became the first wave-powered generator connected to a U.S. commercial power grid. I think we all can all agree that the technology for wave-generated power still is pretty immature. The cost of wave-generated power currently is very high in comparison to most alternatives, including wind and solar power. Nonetheless, there is a lot of energy in ocean waves and the energy density can be higher than wind or solar. 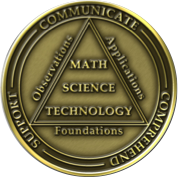 As the technology matures, this is an industry worth watching, but you’ll have to be patient.